Property 3: Quiet Lakehouse in the Hudson Valley- Canoe, BBQ and Relax! Property 5: Beautifully decorated & immaculate log chalet on 3 acres, winter views. Property 13: Charming Artist's Cottage near Hudson NY. Ideal location for summer and winter activities with plenty of outdoor space. Property 15: Ideal location for summer and winter activities with plenty of outdoor space. Property 26: Large home w/ beautiful gardens on pond in Berkshires. Walking distance to town. Property 27: UNIQUE HOUSE, RARE SETTING IN TOWN ,ON WILLIAMS RIVER. Property 37: Beautiful Berkshire Getaway, 200+ Acres! 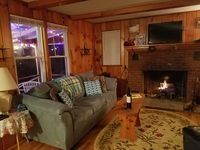 Property 38: Come Relax and Enjoy the Berkshires! Lakefront on the quiet side of main lake! Property 39: Lakefront on the quiet side of main lake! 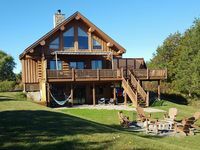 Property 43: Modern Farm House Right Off Warren St.
We enjoyed a great family weekend at Beaver Lodge. Robert was easy to work with and the log cabin definitely felt like we were away from home. Because of the time of year, we were unable to take advantage of the outdoor amenities, but we followed Robert&rsquo;s suggestion list and enjoyed every minute of our time there. We had a wonderful weekend getaway at this cozy country cabin. Vivi is a great host and everything you need is there. Home was well kept and clean. We really enjoyed the fireplace. Can't wait to come back.